A sad 'man bag' restored to a 'sac a couche' worthy of stuffing full of Euros. The following prices are for guidance. 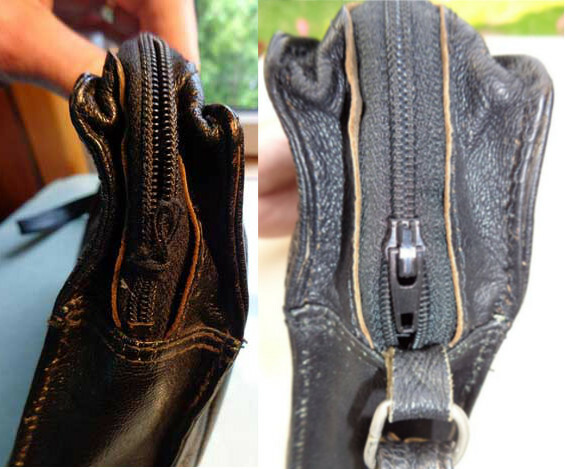 A quotation can be obtained by presenting the item to Stephen or by emailing - claydonleatherrepairs@gmail.com - a photograph of the item and the damage that requires repairing with as much information as possible about what caused the problem.